Our style appeals to those who enjoy modern lines, industrial traits, a vintage flare, & eco-chic looks. Your home should be comfortable, inviting, and easy to entertain in--it should feel like you! Designs by Danica is a residential interior design firm specializing in creating beautiful and functional spaces. The firm has established a reputation for providing award-winning service and design. We are an award winning Main Line design firm that creates custom & stylish interiors. We design warm, inviting spaces that look beautiful and function well for each client’s particular needs. Hello! 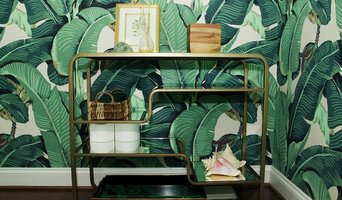 I'm Michelle Gage, a Philadelphia suburbs-based interior designer, with an affinity playful prints I fell in love with interior design at an early age. My trusty Lisa Frank notebook was always at my side, full of floor plan sketches and decor ideas. I opened it up at every house I entered. Whether you wanted it or not, I was always ready to offer a friendly floor plan fix. As years passed, that passion stuck with me and ultimately led me to study at Virginia Tech, where I received a Bachelor of Science Degree in Interior Design. Upon graduation, I moved to Philadelphia to work as a home merchant at Anthropologie HQ, buying everything from art and antiques to lighting and decorative textiles. I've worked with wonderful partners from all over the globe, buying antiques from French dealers and producing lighting with Asian vendors. Fast forward a few years to where I am now - creating magical spaces that are a true reflection of you, your family and your lifestyle. My work has been featured by Domino, Design Sponge, Apartment Therapy, HGTV Magazine - just to name a few. Currently, my husband, rescue pups and I reside right outside of the City of Brotherly Love, where we are busy renovating our forever home. When I'm not designing, you can find me at flea markets, thrift stores and estate sales. I'm always on the hunt for a glorious vintage find. I seek out the best markets while traveling. I've been lucky enough to shop The Paris Flea Market, The Brimfield Antique Market and The Rose Bowl in Pasadena - all magical, in my opinion! I take joy in creating homes that appear curated over time, combining the things you love with my artful eye. Every space I create is a true collaboration of visions. 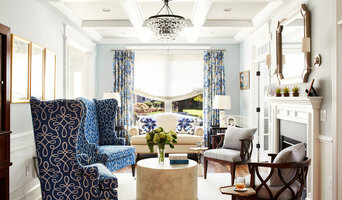 Freeman Interiors is an award winning full-service interior design firm in Philadelphia. The Freeman Interiors team continues to bring fresh & current ideas into all scopes of their design projects. I am a professional Interior Designer and Project Manager with more than 30 years of experience. I love collaborating with my clients to create interiors that delight them. Sharon Eggstein, owner and designer of Eye For Decorating has been helping clients love and live in their homes through redesign, color consultation, and traditional decorating services since 1999. Safferstone is a full-service Interior Design rooted in the practical, functional needs of my clients and their families. A room by Safferstone is natural, inviting, a totally chic. From concept to finish, every project and client is unique and given our personal attention and VIP service. We create interiors that are practical, stylish, timeless and perfectly executed. With over 25 years of design experience, Karen Givnish opened the Great Room not only to house her design studio, but also to showcase a collection of unique furniture, handcrafted accessories & more. Design by Girasole brings a fresh and creative eye to every project, creating unique kitchens, bathrooms and living areas that are visually pleasing and comfortably functional. For over 18 years, Alicia Geerlings has built Design Intervention into a full service design firm that brings beautiful, functional spaces to countless clients. The work of a professional can make all the difference. Whether your home has 10 bedrooms, or your apartment is 800 square feet, it can be tricky to create a cohesive look that is representative of your style. That's where a local Glenolden interior designer comes in. A home decorator will help distill your tastes and ideas into a design that suits the needs of your space. Whether you need help creating a functional space plan, rearranging existing pieces, designing the inside of a new home, or simply sourcing amazing furniture and decor, seeking the help of professional interior designers and decorators in Glenolden, PA is a must. A good home design professional will hone your style down to its very essence and be able to choose a functional layout that feels natural to you. Interior design companies can be involved as much or as little as the client desires. Many clients who hire an interior decorator in Glenolden, PA — particularly those who are remodeling — have a good sense of how the room should look and what products they should use. Often clients will insist that interior decorators use the products already present in the house. Other times a designer will need to start from scratch — especially if this is a newly purchased or just-built home. An interior design company will need to figure out exactly what the client needs, which includes organizing rooms, picking flooring and wall colors, and finding furniture to complement it all. Sometimes that means he or she will have to recruit help from other Glenolden, PA home professionals to help create the perfect look for your renovation. Here are some related professionals and vendors to complement the work of interior designers & decorators: Architects & Building Designers, General Contractors, Home Builders, Design-Build Firms, Photographers. Do your research before meeting with an interior designer or home decorator in Glenolden, PA. Ask yourself what you want your space to become and what it will be used for. Figure out the extent of what you need help with, what your must-haves are and what your budget is. Interior design services can add up fast, so be up front with a potential design firm or individual from the beginning. Also, pick an interior decorator that fits your style. Browse through the portfolios of different Glenolden interior design firms and decide if you would live in those houses. Just because you like something doesn’t mean you could live in it. There's a big difference! 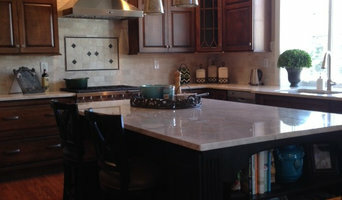 Find an interior designer or home decorator in Glenolden, PA on Houzz. Narrow your search in the Professionals section to find Glenolden interior designers near you. You can also look through Glenolden, PA photos to find a room you like, then contact the design firm who designed it.